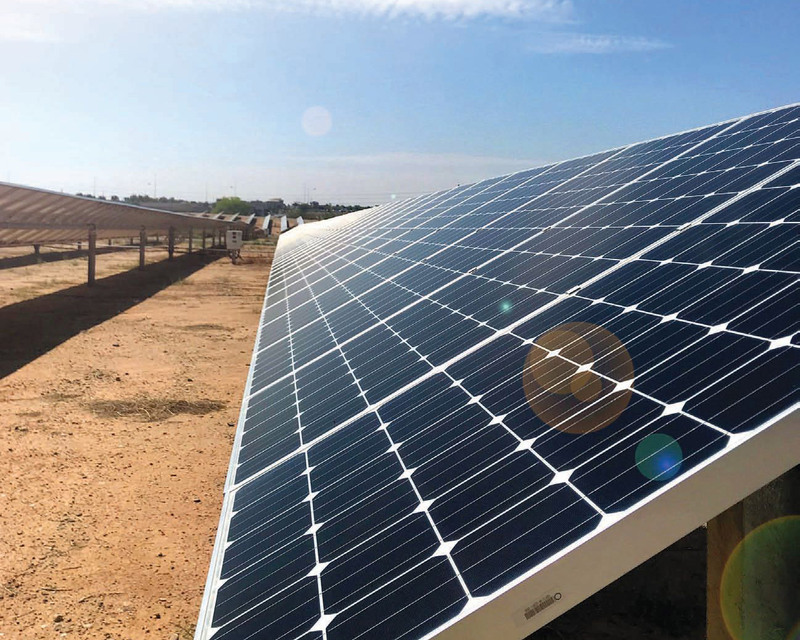 Energy and environmental articles, school courses, and public meetings routinely focus on photovoltaics and wind as renewable energy answer’s to saving money, providing resiliency, and reducing greenhouse gases. But that’s like saying an airplane’s wings are the only important part of flying. Not so. For the last eighteen years, my company has worked with clients the world over to optimize the entire portfolio of energy efficiency, energy storage, and renewable energy. And for the last eight years, my teaching at The George Washington University focuses on the same. So, I thought I would address the amazing contributions to renewable energy progress from buildings to insure we all are aware of their success and importance in our world. “In 2015, Americans used 3945 trillion British Thermal Units (BTUs) heating their homes and a further 731 trillion on air conditioning to cool them. Much of that heating demand was met by high carbon fuels extracted from the ground. This needs to change – not just in homes but in commercial premises too. And it will. The questions are how and when. The answers will depend on what technologies are used to get there.” Kevin Stickney in AltEnergyMag makes the point. 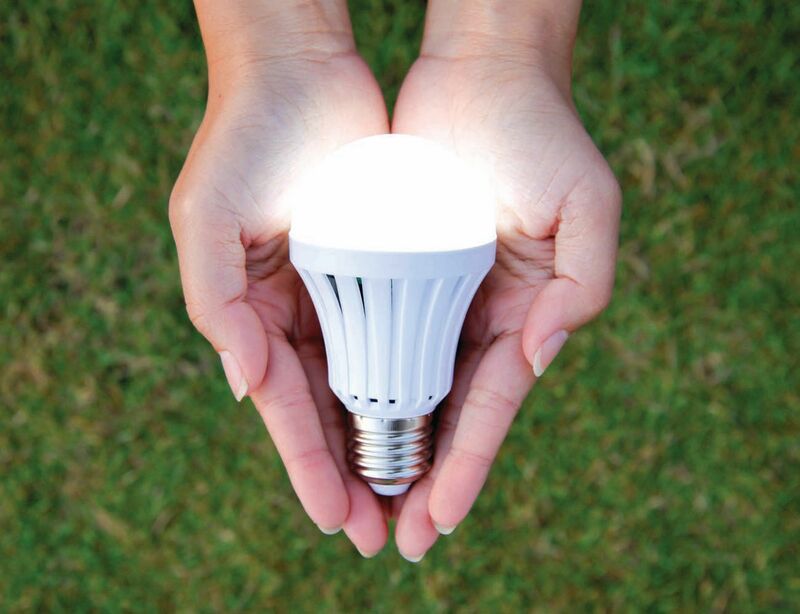 LED lighting is projected to achieve a market share of 84% of lumen-hour sales in the general illumination market by 2030, reducing lighting energy consumption in that year alone by 40%, for a savings of 3.0 quads (261 terawatt-hours) – worth over $26 billion at today’s energy prices. And that is a huge achievement, and solar daylighting’s benefits are also as significant. Advanced technologies using lenses, reflectors and concentrators are emerging to provide high quality light during the daytime that is equal or better than traditional electric lighting whether incandescent, LED, or fluorescent lighting. Such technologies can ‘zero-out’ electricity use for lighting during sunny and cloudy days – during daytime hours when most commercial and industrial buildings are operating. The US industry has over 60 U.S. companies that offer specific building lighting products conveying natural light into buildings. At least three national companies contract with federal and state government agencies to integrate the technology to meet environmental and energy efficiency goals. A study by Heschong Mahone Group of Sacramento (www.h-m-g.com) found that sales were 40% higher in stores with good natural light. Worker productivity much of which can be directly correlated with daylight can increase by 20% with good design or decrease by 20% with bad design. According to the US Department of Energy, solar water heaters usually save money over time, depending on variables such as the amount of hot water a consumer uses and the cost of the conventional fuels. On average, users could cut water heating bills 50 to 80%. Even better, the economics make sense for a refinancing. The global market for solar water heaters could reach $4.13 billion by 2025, according to a new report by Grand View Research. The solar water heaters U.S. market size was valued at $2.05 billion in 2016 and is predicted to exhibit a compound annual growth rate (CAGR) of 8.1% by 2025 according to Grandview Research and Estimating the Cost and Energy Efficiency of a Solar Water Heater. throughout North America. SRCC standards are specified by dozens of incentive programs, regulations and laws at the local, state and federal levels, and building codes. SRCC also provides listing programs that assist code enforcement professionals to determine whether solar thermal products and systems comply with codes and applicable standards. The U.S. trade association for the solar energy industry and a national consortium of U.S. state energy offices and regulatory bodies collaborated to found the SRCC and in 1980 the SRCC was incorporated as a non-profit organization whose primary purpose was the development and implementation of national rating standards and certification programs for solar thermal energy equipment. In November 2014, SRCC became part of the ICC Family of Companies that is dedicated to the construction of safe, sustainable, affordable and resilient structures (http://solar-rating.org/about/index.html). The direct use of renewables for heat (modern biomass, solar thermal and geothermal) increased by 8%, from 13.2 exajoules (EJ) in 2010 to 14.2 EJ in 2014. More than one-third of this increase was due to the consumption of renewable heat in China, mostly through the rapid growth of solar thermal installations. Currently, the European Union is the largest consumer of renewables for heat, with almost 15% of its heat demand met by renewables. Heating in residential and commercial buildings hover around 30% of energy use, pending on the climate and building use. Biomass boilers can replace oil or gas boilers to heat hot water and radiators (or under floor heating). They burn logs, wood chips, wood pellets or other forms of biomass. They control the amount of fuel and air supplied to the combustion chamber. A great resource is the Biomass Heat: Whole Building Design Guide. Solar assisted radiant floor systems can provide up to 80% of a building’s heating load, but more often they are designed to offset 50% to 60% of the fuel usage. and usually more efficient than forcedair heating because it eliminates duct losses. People with allergies often prefer radiant heat because it doesn’t distribute allergens like forced air systems can. According to an August 17, 2017 report by Global Market Insights, Inc., the Global Hydronic Underfloor Heating Market is forecast to surpass $5 billion by 2024. Space cooling in buildings account from 15% – 20% of energy use, depending on whose figures you use and what the climate norms are. 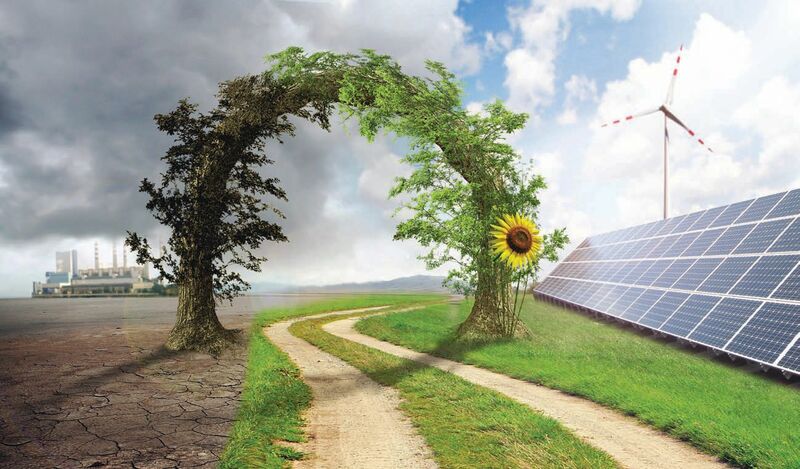 Renewable options are: solar-driven cooling, whether you are generating electricity usually to a ductless heat pump (as I do in my office building) or a geothermal heat pump (which I do in my Arlington, VA house), or a solar cooling systems utilizing concentrating collectors or evacuated tube collectors. In this last case, solar energy heats a fluid that provides heat to the generator of an absorption chiller and is recirculated back to the collectors. The heat provided to the generator drives a cooling cycle that produces chilled water. The chilled water produced is used for large commercial and industrial cooling. Also, some innovative companies have used low cost energy to store ice on-site and draw upon its later in the day for cooling: this technique is cost effective as well. GeoExchange or Geothermal Heat Pumps are extremely efficient and reliable. Zion Market Research has released a new report on July 26, 2018 titled “Geothermal Heat Pumps Market by Technology (Open Loop Systems and Closed Loop Systems), by End-use (Residential and Commercial): Global Industry Perspective, Comprehensive Analysis, and Forecast, 2017 – 2024”. 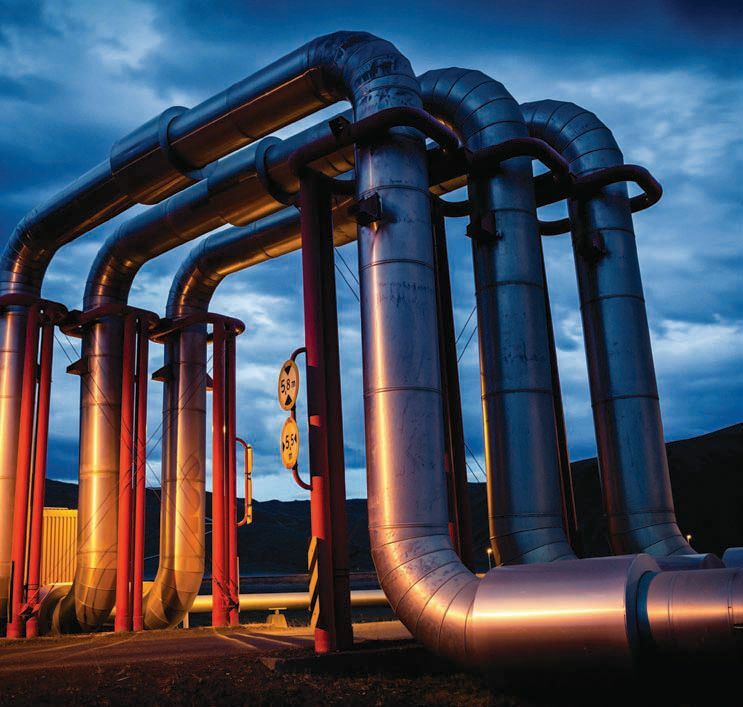 According to the report, global geothermal heat pumps market was valued at $70.61 billion in 2017 and is expected to reach $187.72 billion in 2024, growing at a CAGR of 13% between 2018 and 2024. Every geothermal heating and cooling system has three major subsystems or parts: a geothermal heat pump to move heat between the building and the fluid in the earth connection, an earth connection for transferring heat between its fluid and the earth, and a distribution subsystem for delivering heating or cooling with the building. Waste heat within building systems is a huge energy loss. Space heating is the single largest energy end use in most building types. “The surprising fact is there is a lot of waste heat that goes unused,” says Cory Duggin in Consulting & Specifying Engineer. Cogeneration systems use heat, steam or waste gases to produce both electrical and thermal energy. Trigeneration produces cooling as well as electricity and heat. And in such cases, the waste heat of the electricity generation process can be transformed into cooling energy by an absorption chiller. Waste-heat recovery is using any heat that would otherwise be wasted. There are several media within building systems from which heat can be recovered: air, water, refrigerant. Waste heat can also be used to generate electricity using external combustion engines such as Organic Rankine Cycle (ORC) or Kalina, and for industrial heat via Stirling engines or Brayton Cycle Engines. (https://bit.ly/2QL2Vin). And Heat Engines – Organic Rankine Cycle, Stirling, Kalina, and Brayton – are vastly under-appreciated, under-used, and misunderstood. Wiseguy issued a 2018 report stating “In the last several years, global market of Waste Heat to Power developed stably, with an average growth rate of 6.2%. In 2016, global revenue of Waste Heat to Power was nearly $1.767 Billion. The classification of Waste Heat to Power includes Organic Rankine Cycles, Steam Rankine Cycle and Kalina Cycle. The proportion of Organic Rankine Cycles in 2016 was about 65%, and the proportion is in fluctuation trending from 2012 to 2016. Waste Heat to Power is widely used in industry including the chemical industry, metal manufacturing, oil and gas, electroplating, and others heavy industries. Renewable lighting, water heating, space heating and cooling, and optimum use of waste heat for heating and electricity generation are absolutely essential if we are to meet resiliency goals, stabilize energy costs, and reduce both regulated emissions and greenhouse gas emissions. These technologies are lower in cost than conventional fossil alternatives. However, they need greater local government buy-in, to accelerate development of codes, standards, and education, access to PACE, on-bill financing, and other leveraging approaches afforded to PV, wind, and other high-value energy efficiency options. As I advise my students and clients, we need to optimize and integrate the entire portfolio of energy efficiency, energy storage, and renewable energy for the health of our economy, the health of our children, and to stabilize our climate. The time is now. Scott Sklar runs The Stella Group, Ltd., a strategic technology optimization and policy firm. He is an Adjunct Professor at The George Washington University teaching two unique interdisciplinary sustainable energy courses. He’s also an Affiliated Professor with CATIE, an international graduate University in Costa Rica. He was re-appointed onto the US Department of Commerce Renewable Energy & Energy Efficiency Advisory Committee (RE&EEAC) and served as Vice Chair through June 2018.